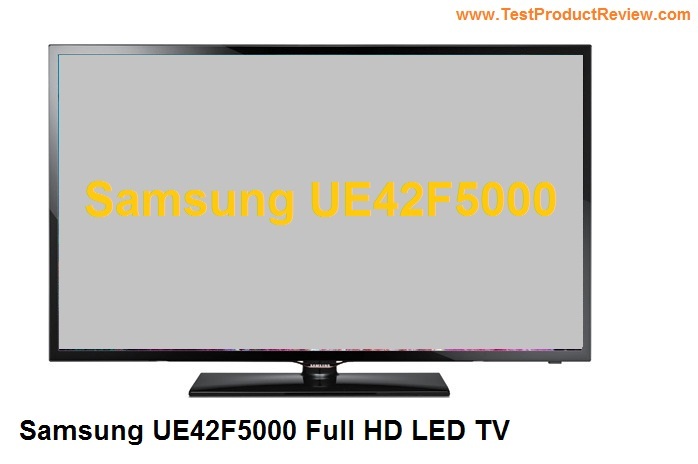 Samsung UE42F5000 review - Samsung released so many new LED TVs that I almost lost track of most of their new models. Today we are going to take a look at one of Samsung's budget 42-inch Full HD LED TVs which doesn't have any Smart TV functions or 3D but offers amazing picture quality. Samsung UE42F5000 has nice and clean design, it is simple but at the same time looks elegant. The panel itself has relatively small frame and keeps tight dimensions of 971.8 x 576.9 x 49.4 mm including the stand. Samsung tried to keep the price of this one as low as possible but not by sacrificing picture quality. As a result the UE42F5000 impresses with very good Full HD 1080p picture. Actually this is probably this TV offers the best picture in this class no matter the strong competition from LG and Sony. 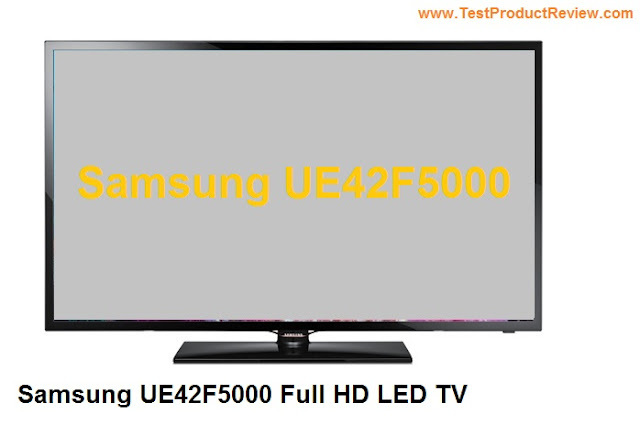 Samsung UE42F5000 doesn't have any interesting features that can impress you, it is the picture quality that Samsung focused on. Nevertheless you can find technologies like Samsung’s Wide Color Enhancer which significantly improves picture quality. There is also a USB-media player which is quite intuitive and will run almost any movie type, image or song. The sound in the Samsung UE42F5000 is provided by two 10W stereo speakers with Dolby Digital Plus/dolby pulse, DTS Studio and DTS Premium Audio which improve sound quality and optimize it for different conditions. Samsung UE42F5000 has plenty of connection options on board - USB, 2x HDMI, RF In, composite Y / Pb / Pr, composite AV, SCART and 3.5 mm headphone jack are all available in this 42-inch TV. The price of the Samsung UE42F5000 is not too high considering the good picture quality it offers but you can definitely find cheaper 42-inch Full HD LED TVs. This one costs around $500 (£400 in UK) and it stands somewhere in the middle in this segment. In case you are interested in buying new 42-inch LED TV you should definitely check the Finlux 42F503, the LG 42LA640S or the Sony Bravia KDL-42W650A.